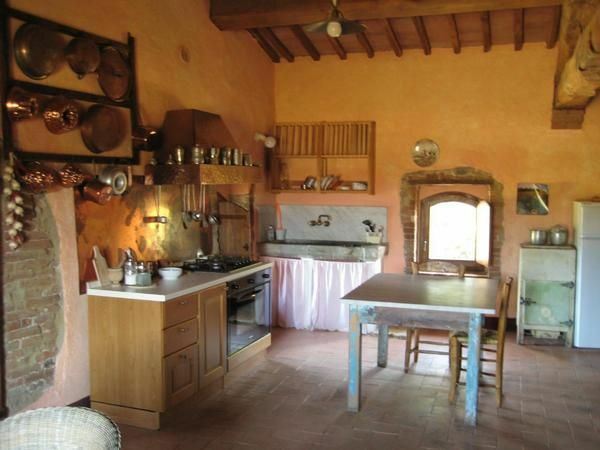 L'Agriturismo il Casalino is a farmhouse in the unspoiled nature of the Natural Reserve of the Basso Merse, halfway between Siena and Grosseto, just minutes from Petriolo Spa, overlooking the hills of Montalcino. La Casa is a first floor apartment, housed on the estate of the '700 Casalino. With a careful restoration in 2007 has been transformed into a comfortable cottage. The apartment has a large living room with a private terrace and a fully equipped kitchen, two bedrooms (one with terrace), both with a loft and two bathrooms with bath tub and shower. - Final cleaning: per object and day Costs amounting to 5 EUR (Mandatory).